Last Week we wrote about the detriment that road salt can have on waterways, plants, and animals and how runoff is causing dead zones in lakes. It turns out that the story doesn’t stop there and all that salt is actually reacting with soil and water pipes to form toxic substances that can poison drinking water and harm the environment. The Revelator recently published an article examining a report published last month that found that not only is salinity increasing in many surface waters, but when you add salt to the environment it can mobilize heavy metals, nutrient pollution and other contaminants that are combining to create new “chemical cocktails” in rivers, streams, and reservoirs. These cocktails can be a danger to our drinking water, wildlife and riverine ecology. And they’ve already contributed to a public health crisis in at least one U.S. city. It turns out that in Flint, MI while lead made headlines for poisoning people, salt was what made a bad situation worse. The Revelator reported that when the city switched sources of water to the highly polluted Flint River, the water had a much higher salinity because of runoff from road salts, which, without proper treatment, increased the corrosivity of the water. Gene Likens, a prominent ecologist and co-author of the study, explained that the “change in the chemistry of the water flowing through the pipes liberated lead from the pipes or lead-soldered connections.” Lead was the villain, but salt was its enabler. 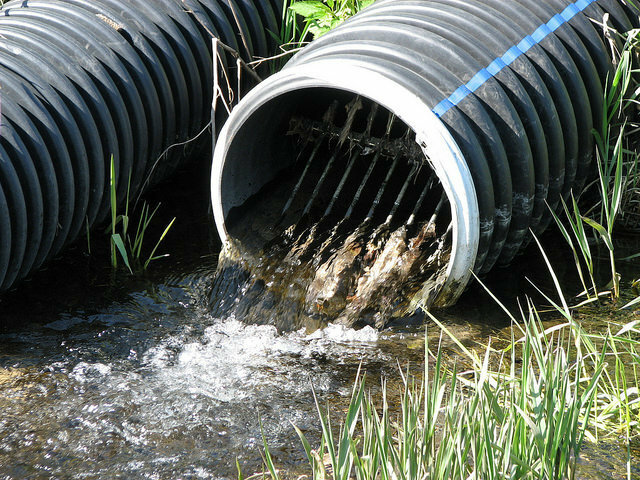 This same process can cause other neurotoxins like manganese to leach from water pipes as well. Salt is entering our watersheds at increasing levels and the fact that we pave over much of the ground means that when it rains all that salt washes away instead of being absorbed into the ground. But even when salt does get absorbed into the ground it can liberate heavy metals and scientists are still trying to determine how this is affecting people and wildlife. Why This Matters: Road salt is a serious problem not just for biodiversity but for human health impacts as well. Unfortunately, alternatives to keep roads frost-free haven’t proven to be as effective or cost-competitive and for snowy cities, being on a “low-salt diet” is proving to be a difficult task. Regardless, we have to start rethinking how we de-ice roads without salt especially because we don’t fully understand the impacts it’s having on the environment.